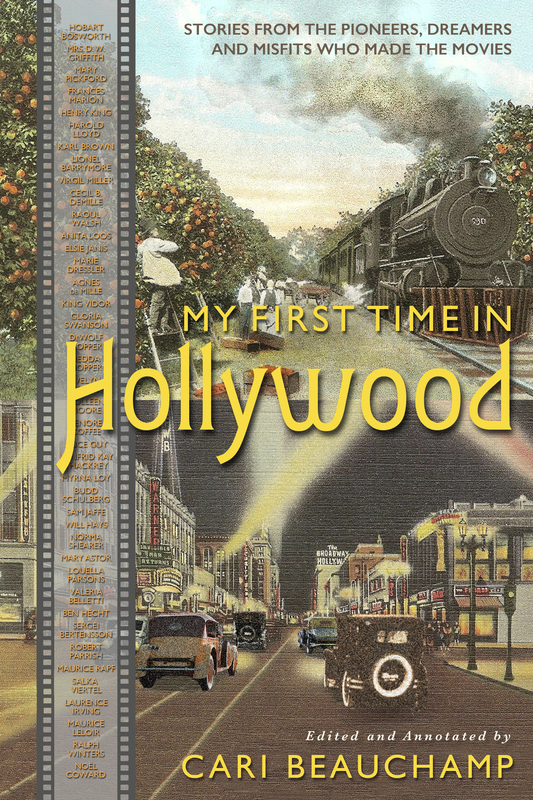 My First Time in Hollywood: Stories From the Pioneers, Dreamers and Misfits Who Made the Movies is a collection of eye witness accounts from over 40 future greats of the film business telling of their arrival in Southern California. Actors, directors, set decorators, screenwriters, cinematographers and editors – half of them women – tell of what brought them to Hollywood, how they struggled to find work, their initial impressions and their love for making movies. Drawn from letters, speeches, oral histories, memoirs and autobiographies, each story is unique, but all speak to the universal struggle to discover our place, follow our passions and become members of a community that feed our souls. 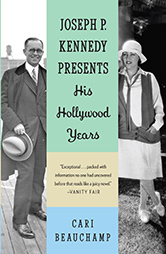 Joseph P. Kennedy Presents: His Hollywood Years is the extraordinary missing chapter from Joe Kennedy’s biography: his remarkable reign as a movie mogul when he ran three studios and a theater circuit simultaneously, was pivotal in the transition from silent films to sound, masterminded the mergers that created the blueprint for contemporary Hollywood and made the fortune that became the foundation of his empire. 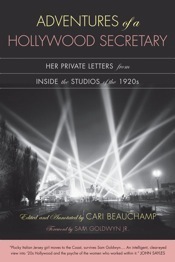 “At last, a delightful insider’s account of stars and studios in 1920s Hollywood told by the one person who really knows and never tells – the secretary! 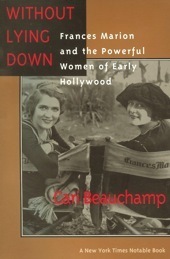 Elegantly annotated by Cari Beauchamp.” Mollie Gregory, author of Women Who Run the Show. 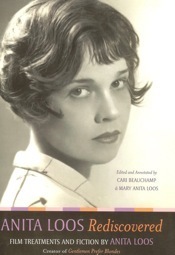 Beauchamp offers an enticing glimpse into the temperament of prolific and gifted screenwriter, novelist, and playwright Anita Loos (1888-1981) when she observes that Loos “put much thought and effort into appearing carefree.” As Beauchamp briskly chronicles Loos’ unusual life, and Loos’ niece, Mary Anita Loos, shares her personal reminiscences, the “elfin” Loos, author of Gentlemen Prefer Blondes, the film script for The Women, and dozens of other works, comes into focus as relentlessly hardworking, smart, witty, generous, and profoundly lonelyﾉThe maddening complexities inherent in relationships between men and women, and society’s entrenched misogyny, became Loos’ endlessly fertile subjects, as is evident in the marvelously piquant and dazzlingly inventive stories and film treatments gathered in this essential addition to American letters and the history of film. A revealing romp through the world’s most important film festivalﾉImportantly, Beauchamp goes into detail about the festival’s history, its many roles in shaping worldwide media, and the complexities of the interactions of critics, stars, the jury, agents, producers, distributors, and directors. She copiously details the text with anecdotes and immerses the reader in the crazed flow of festival life. It is an important addition to any collection addressing media’s place in our society. 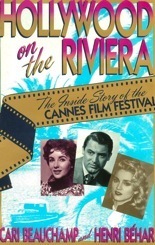 “Hollywood on the Riviera is a thorough, lively, and long overdue history of Cannes. The authors pull no punches examining the politics, egos and intrigue that have shaped it.” New York Times. In chronicling the remarkable life of Francis Marion, Without Lying Down reveals a neglected chapter of Hollywood history. 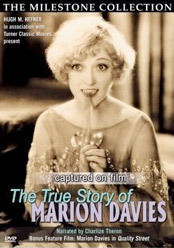 Narrated by Uma Thurman, and based on the book by Cari Beauchamp (who appears among several expert interviewees), this insightful documentary restores Marion to the pantheon of Hollywood screenwriters. 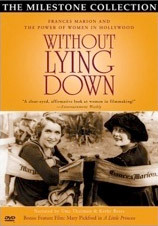 Kathy Bates provides Marion’s voice in lively recited memoirs, and to acknowledge Marion’s ongoing influence, Without Lying Down offers testimony from women (Martha Coolidge, Polly Platt, Callie Khouri, and others) who found Hollywood success many decades later, grateful for Marion’s pioneering example. Also included is the 1917 short film “A Little Princess” — sublime evidence of Pickford’s appeal and Marion’s skill as an adaptor, and a worthy silent counterpart to the exquisite version released in 1995. The Story of Film: An Odyssey is an unprecedented cinematic event, an epic journey through the history of world cinema that is a treat for movie lovers around the globe. Guided by film historian Mark Cousins, this bold 15-part love letter to the movies begins with the invention of motion pictures at the end of the 19th century and concludes with the multi-billion dollar globalized digital industry of the 21st. 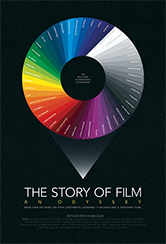 The Story of Film: An Odyssey heralds a unique approach to the evolution of film art by focusing on the artistic vision and innovations of filmmaking pioneers. Cousins’ distinctive approach also yields a personal and idiosyncratic rewriting of film history. Filmed at key locations in film history on every continent, from Thomas Edison’s New Jersey laboratory, to Hitchcock’s London; from post-war Rome to the thriving industry of modern day Mumbai–this landmark documentary is filled with glorious clips from some of the greatest movies ever made and features interviews with filmmakers and historians including Stanley Donen, Cari Beauchamp, Kyoko Kagawa, Gus van Sant, Lars Von Trier, Wim Wenders, Abbas Kiarostami, Claire Denis, Bernardo Bertolucci, Robert Towne, Jane Campion and Claudia Cardinale.